Profutura mama. Today for tomorrow. 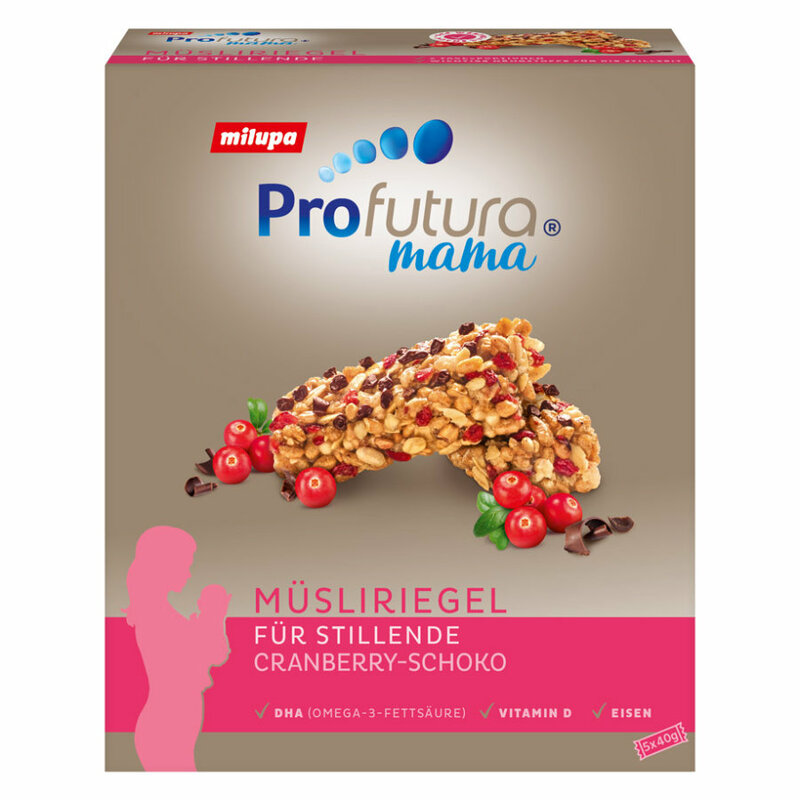 Profutura mama Muesli Bar should only be used by breastfeeding women. It does not substitute for a healthy and balanced diet. Do not consume more than one helping of this product daily (or any other product from our Profutura mama range). Do not use this product in combination with dietary supplements without consulting your physician. We recommend one portion daily (1 bar = 40g) of Profutura mama Muesli bar. 1 bar (40g) is one daily portion and provides you with nutrients important during the breastfeeding period.